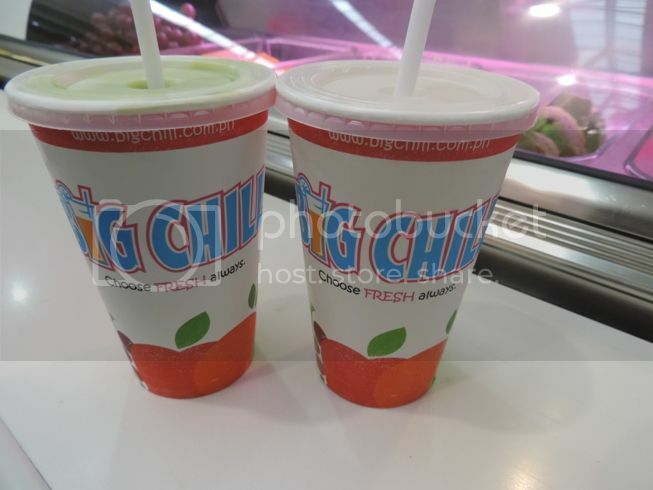 Healthy and delicious are the words I would use to describe the refreshing, cool drinks from Big Chill. While our young man was having fun at Tom’s World last month, hubby and I headed to the Big Chill stall nearby. He ordered his favorite Avocado Bliss, while I opted for Coco Lychee. One of Big Chill’s Classic Blends, Avocado Bliss, is made from pure avocado. Coco Lychee, on the other hand, is a combination of fresh lychees and young coconut water. There’s no way I wouldn’t like Coco Lychee because I love both lychees and buko juice. I actually regretted that I got the regular size, instead of large, because I couldn’t get enough of it. What’s your favorite Big Chill drink/s? This entry was posted in Avocado Bliss, Big Chill, Coco Lychee. Bookmark the permalink. Oohh how I love fruit shakes. Avocado is one of them because we seldom get it at home. Hmmmm will have to try Coco lychee next time. It’s always a mango-based fruit shake for me. haven’t tried Big CHill yet but the avocado bliss sounds promising… i have always enjoyed avocado esp when mixed with milk, a little sugar and lotso’ ice!